So you have dropped quite a bit of coin on your shiny new camera. It has tons of different functions that you don’t yet understand but you are eager to experiment and learn how to take great photos. Well… you’ve come to the right place! Even a baby can shoot in automatic mode but before you start using the fully manual setting to take truly incredible photographs, it is best to experiment with semi-manual modes. In this article, we will discuss the Shutter-Priority Mode. Somewhat counter-intuitively, the mode is usually marked as Tv or (S) on your camera’s mode dial. Shutter-Priority Mode is a semi-manual mode which allows the photographer to select the amount of time that it takes for the light to reach the camera sensor (or film). Understanding the way the camera works with light is essential to creating great photography. 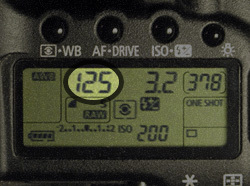 In Shutter-Priority Mode you get to decide the length of time that the shutter stays open for (thus letting the light in), but the camera automatically selects the appropriate aperture by using its built in light meter. Understanding Shutter-Priority Mode and adding it to your arsenal will open up a lot of creative opportunities. Just keep in mind that when you set the Shutter-Priority Mode to slower than 1/30 (which means the shutter will stay open for 1/30thof a second) you must always use some sort of support to keep the camera from moving (otherwise, the pictures will come out blurry). Just setting the camera on a solid surface should do the trick but, ideally, you will want to invest in a tripod. 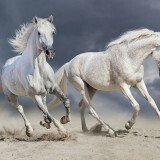 If you are shooting a moving object or using a large zoom, the shutter speed should be set much higher. Typically, it is 1 over double the focal length, so if you have a 100mm lens your hand held shutter speed should be at least 1/200 second. A good way to get a feel for the Shutter-Priority Mode is to try taking some indoor photos using dim lighting. Try using your camera in full auto mode and it will most likely try to compensate for the low lighting conditions by using flash or selecting an extremely high ISO. 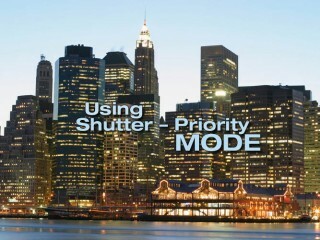 Now try using the Shutter-Priority Mode and set a long exposure (a couple of seconds should do the trick). Notice how much better the Shutter-Priority Mode picture looks. Your image will not have harsh lighting, as it would with flash, nor will it have a large amount of noise, as it would with a high ISO. Just be weary of moving people or pets in your shot since those might come out blurry. Another great way to experiment with Shutter-Priority Mode is to use it in sport photography. Try setting your shutter speed to at least 1/400 and take some photographs of people in motion. You will be shocked at how crisp the shots will look. This trick will also work with moving water. By using fast shutter speed you can almost “freeze” the individual drops. Alternatively, you can use slow shutter speed to “smooth out” a flowing waterfall. Last but not least, try taking a few shots at night. Set your camera on a tripod, set the shutter speed to a few seconds (2-10 sec. should work) and see just how vivid nightlife becomes. 1/1000 – 1/8000 second Freezes virtually any motion. 1/250 – 1/500 second Great for freezing sports and action with telephoto zoom lense. 1/100 – 1/200 second General hand-held shots. 1/25 – 1/80 second Hand-held shots are still possible with firm grip and wide angle. 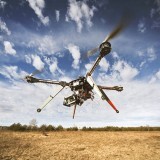 1/2 – 1/25 second Hand-held shots with stabilazer or tripod. 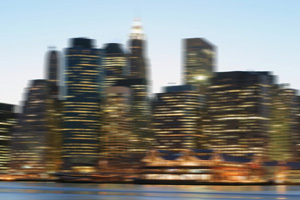 Possible to create motion background blur with moving subjects. 3 – 1/2 second Ligting up images taken with limited lighting. Makes water look silky. Tripod or stable surface is required. 3 – 30+ seconds Nighttime and very low lighting conditions. Tripod is required.